Real Julian Apples. Real Hard Cider. Calico Ranch History - Calico Ranch was started as part of an original homestead and includes a portion of the historic Saunders Ranch. The original planting was a pear orchard until this was expanded when Ed Hart planted apples in the 1960's. Additional apples have been added to increase the production and add over 100 different varieties, including many cider and antique types of apples. The ranch has been operated as both a family u-pick and for fresh fruit sales. Hard Cider has been made for family and friends for nearly 20 years, and is now being made for retail sales. Our Cider is made from 100% local apples grown here on this mountain ranch. 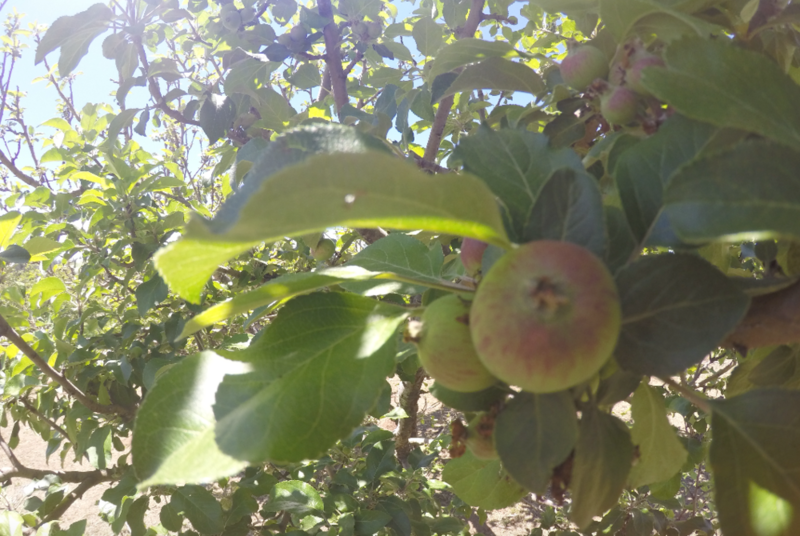 About Our Apples - A large variety of apples are grown on-site as well as several varieties of pears. At Calico Ranch, we implement an integrated pest management system which is a safer, minimized, and wiser use of pesticides and herbicides. We are currently in the process of becoming certified organic. Getting There - Take Hwy 67 or 78 through Ramona to Santa Ysabel. Proceed through Santa Ysabel to Wynola. Watch for signs on the left after Wynola Pizza. We are located on Hwy 78 before Calico Ranch Rd. If you are using a Nav system, enter Calico Ranch Rd at Hwy 78. Come and see us when you visit Julian! We hope you can visit and make this a part of your local experience as expressed by our Cider!